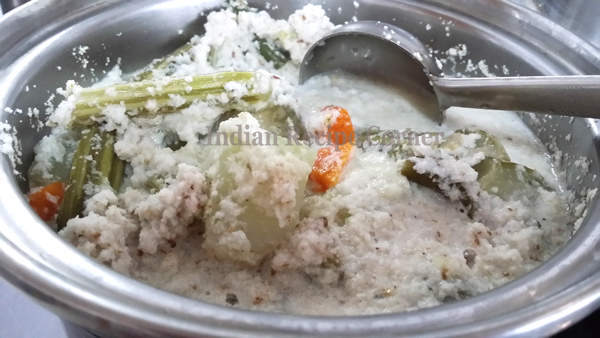 Grind coconut with green chilies and cumin seeds in paste and keep it aside. Heat coconut oil in a thick bottom vessel, add vegetables and cook it on a low flame without adding water. When the vegetables are cooked, add, salt and mix well. 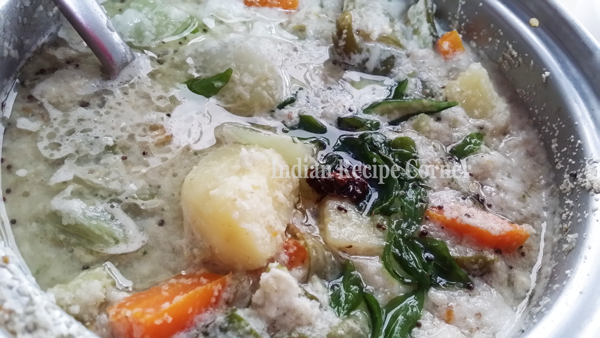 Put bananas and mango pieces in cooked vegetables and cover the vessel. When steam comes out, add the coconut paste and stir well. Remove from fire and garnish it with curry leaves .